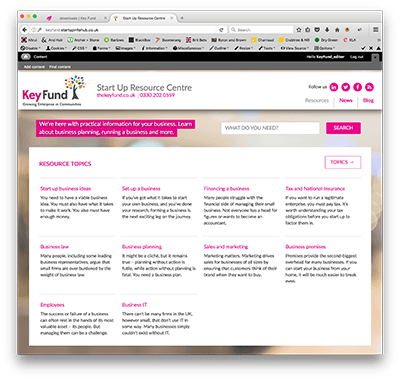 Welcome to the Key Fund Enterprise Toolbox. Here you’ll find not only essential tools, but we’ll update you with the latest news, advice and support; it’s your go-to resource! You have the idea, you’ve established there’s a need for your enterprise, but now it comes to the nitty gritty. Our Enterprise Toolbox is full of practical templates and toolkits to guide you, alongside expert advice to inspire. You might have that initial burst on the starting blocks. Then hit a wall. Maybe legalities make you loopy, or you get up and search the fridge when faced with writing a business plan (it’s not in there). As a social entrepreneur, you are driven by your cause – solving a social problem, serving a community or protecting the environment. We understand balancing your mission with business can sometimes feel like dancing the tango while keeping juggling sticks in the air. Our Enterprise Toolbox is on hand so your social impact doesn’t come at the cost of your bottom line, and vice-versa! As well as giving you the practical essentials, we are here to tell you, you’re not alone. You’ll find ‘if only I knew then what I know now’ tips and advice from experienced social entrepreneurs who have been there and done it. To create an account, and access to tons of valuable information, click the button below. 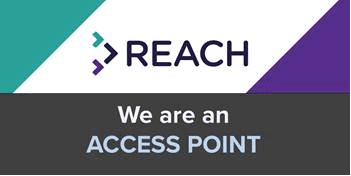 If you need extra help with governance, business planning or financial management before taking on repayable finance, we can offer a route to grant funding, provided by Access. Contact us to discuss the support that’s right for your organisation.